Tracy Tubera’s newest resin figure is here, and it looks insane!!! 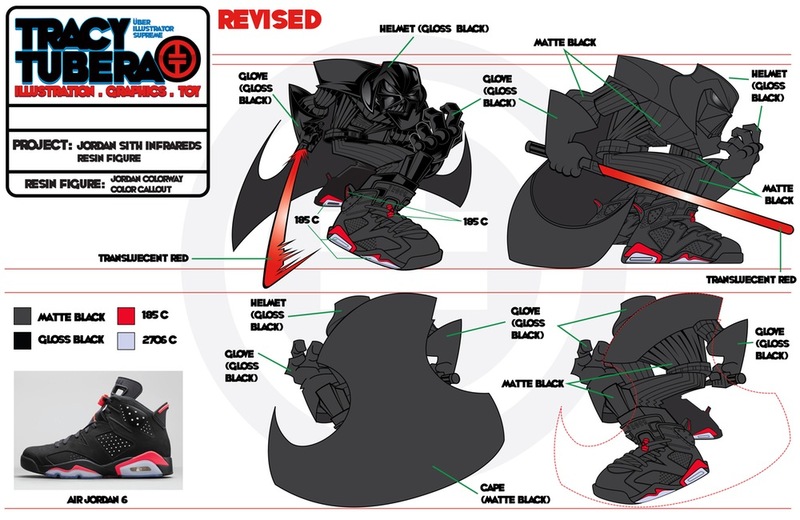 The Star Wars inspired “Jordan Sith Infrareds” is a hand crafted resin sculpture featuring Darth Vader rocking some seriously ill Air Jordan 6 Infrareds sneakers. 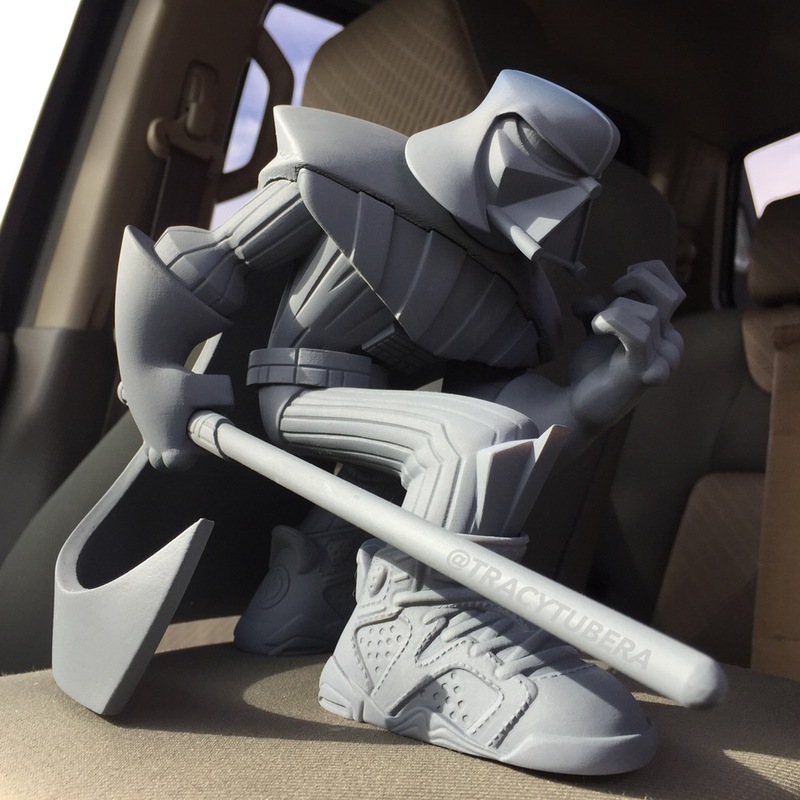 Made in collaboration with MANA Studios and based on Tubera’s popular Jordan Sith Infrareds print, this beautiful statue will done in matte black with color hits on the sneakers to resemble their namesakes and to match the removable red translucent lightsaber. What you see here is only the grey model not the final product. The Darth Vader Jordan Sith Infrareds Resin Figure stands 7” tall and is 8” in length. Collectors can pre-order this crazy new figure now at Tracy Tubera’s online store for $200.